Don't take any chances at the DMV. 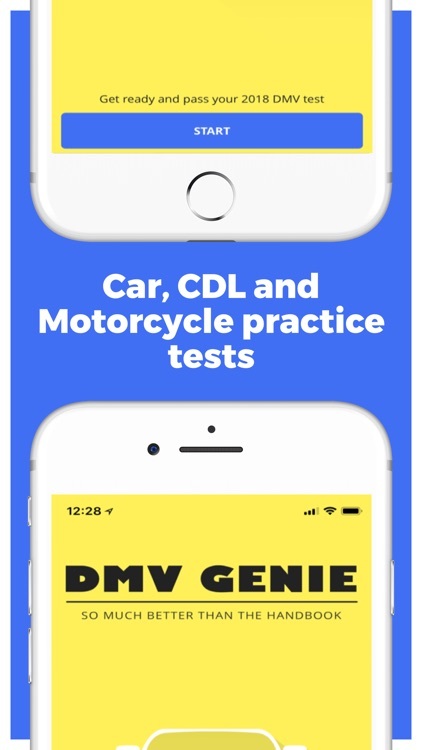 With DMV Genie, you'll be prepared. 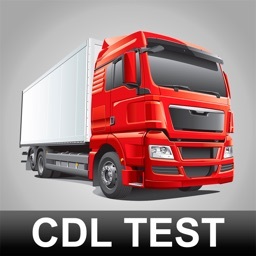 Download it right now and be ready to ace your car, motorcycle or commercial driver's license (CDL) test tomorrow. 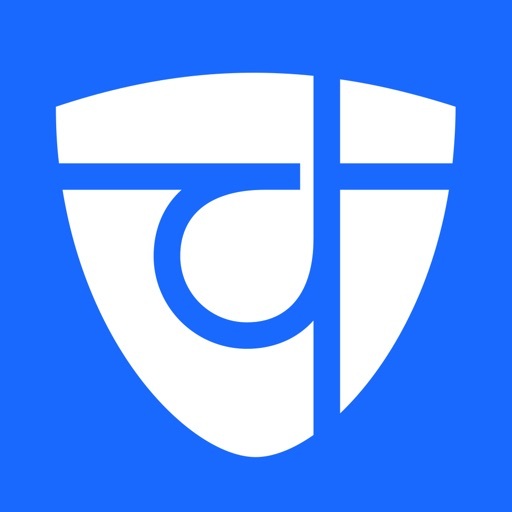 You'll be surprised at how close this app is to the real thing! 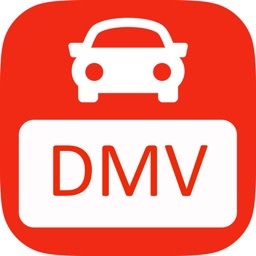 Get ready for your 2019 car, motorcycle, or CDL learner's permit test or driver's license test with questions that are based on your state’s official driver’s manual. Our users swear that most of the questions are very similar (in fact, often identical) to those on the real test. 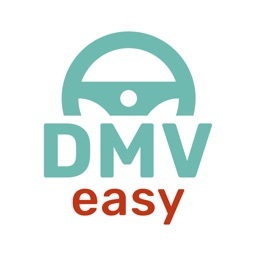 You’ll know exactly what to expect since our DMV practice tests have the same passing score as the actual test. • senior citizens’ refresher test. 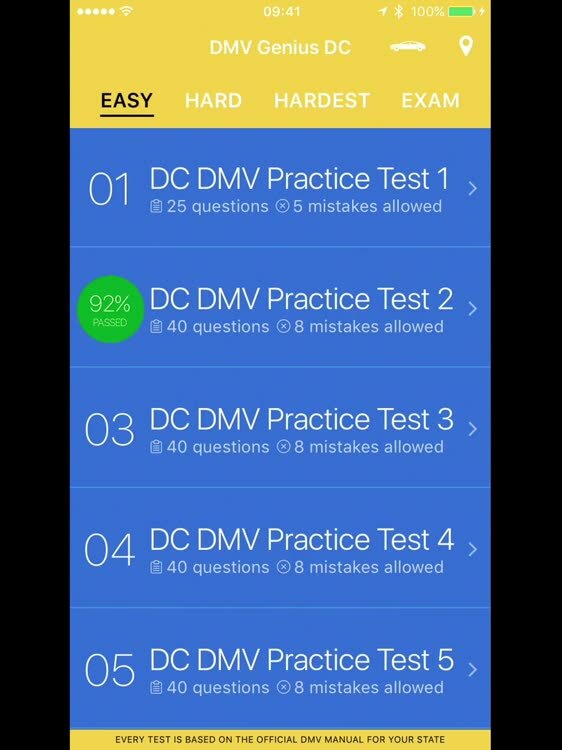 Our practice tests are an effective, interesting way to study for your DMV knowledge test (car, motorcycle or CDL) and pass the first time. 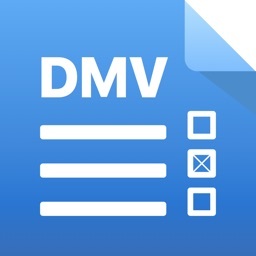 • 73% more effective than the driver's manual alone, based on a nationwide survey of over 500 visitors to the DMV. 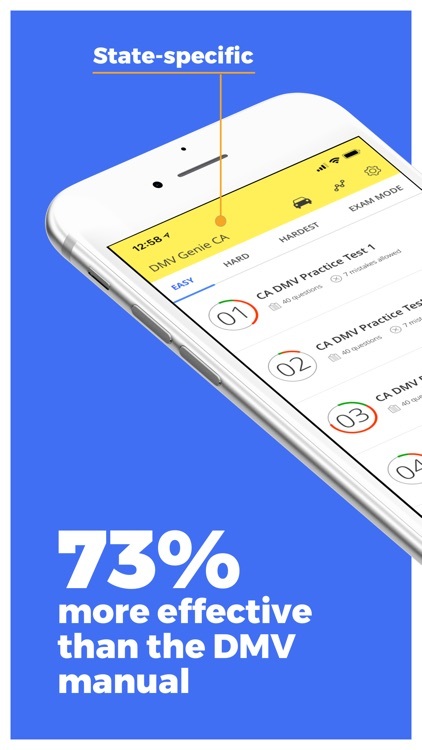 • Realistic: Just like the actual test, our practice tests are based on the official 2019 DMV manual for your state. There are several difficulty levels you can choose from. 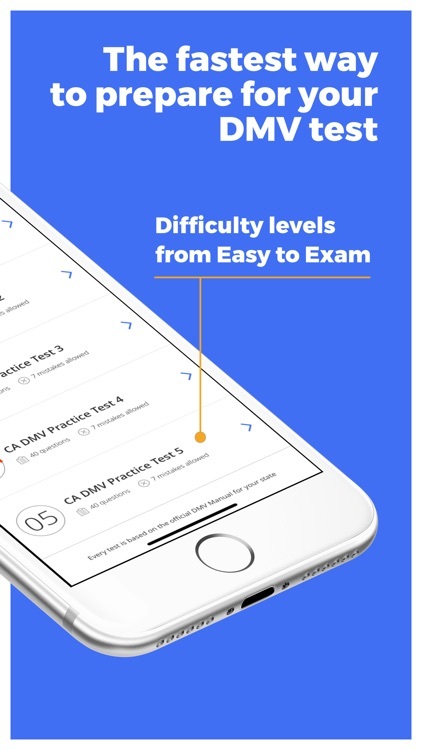 You can take the practice tests in any particular order, but most users go from Easy Mode to Exam Mode. That way, you won’t miss any of those tricky questions about speed limits, Blood Alcohol Content (BAC), or fines. 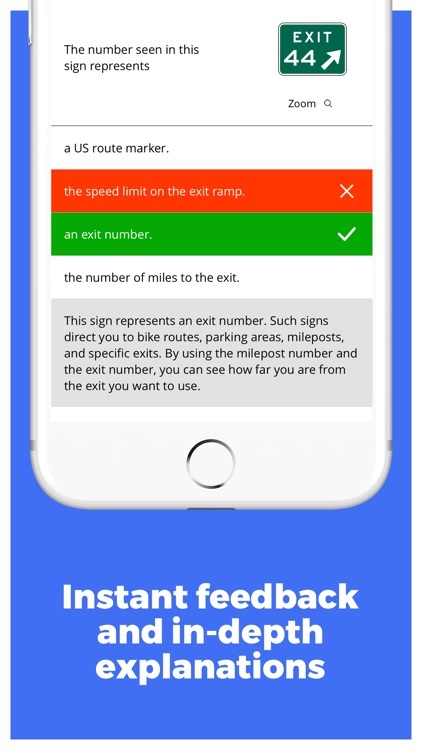 For brushing up on a particular area of the driver's manual, you can take practice tests specifically on road signs, road situations, and fines & speed limits. It's a new type of test that's automatically made up of your missed questions from all your practice tests. You can go back and review the questions that you got wrong. You can find it in the "Settings"menu on the state page. 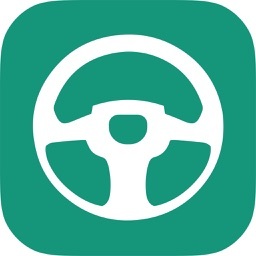 It works separately for different vehicle types (car, motorcycle, CDL). 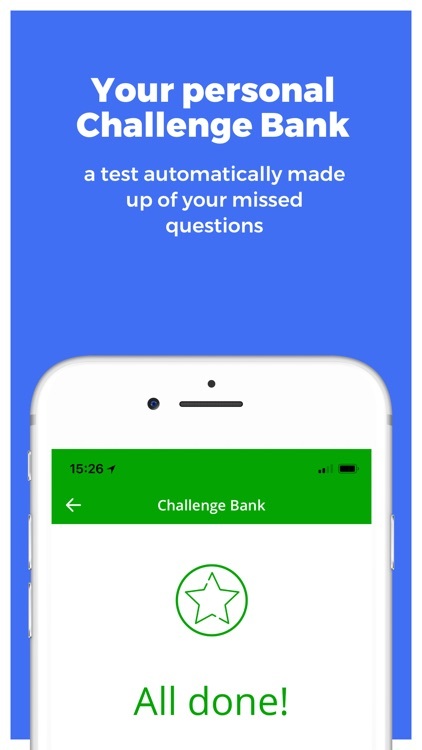 You can also add questions to your Challenge Bank manually (Settings - Add to Challenge Bank) on the test screen. To ask us a question, report a bug or a question-specific typo or mistake, go to Settings - Report a mistake. Or email us directly at [email protected] We're always happy to help!